My love affair with Thai cuisine has been long established before this blog even existed. I was exposed to Thai food a lot back in the college days and seriously…everything that I tried just suited my palates. The sweetness, saltiness, sourness, spicyness. Just typing this post I can feel the saliva is filling up my mouth now. Thai food uses a lot of fresh herbs too and I just absolutely love it. 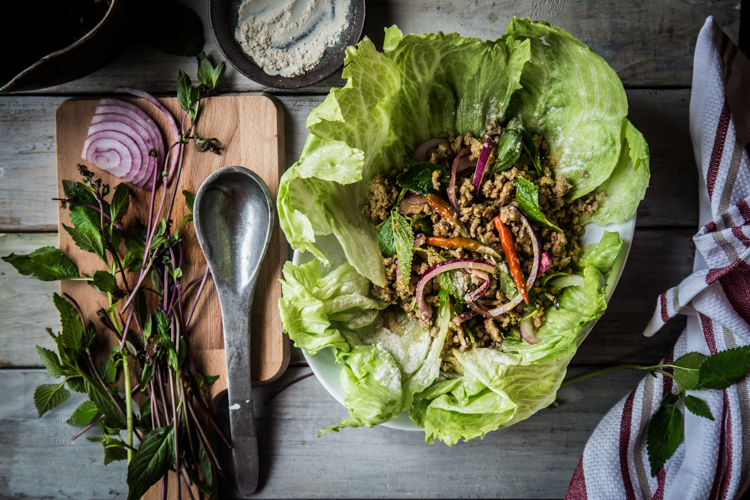 This Thai larb moo or known as spicy pork salad is one of my favorite Thai dishes. 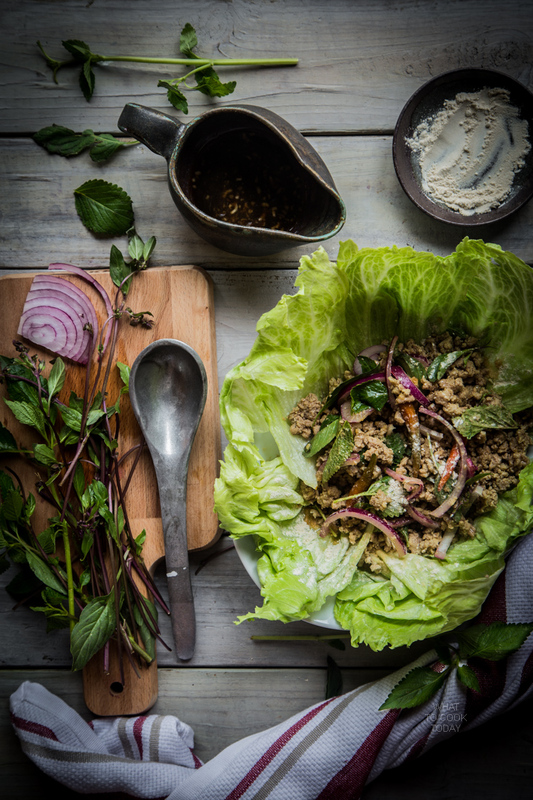 Larb moo or sometimes you’ll see written as laap is a Thai spicy pork salad. There are many different kind of laap and usually it does involve some kind of meat such as beef, pork, offal, duck, and fish. The toasted sticky rice powder (khau kua) really adds a nice finishing touch and texture to the overall dish. I love the aromatic nutty flavor to it. 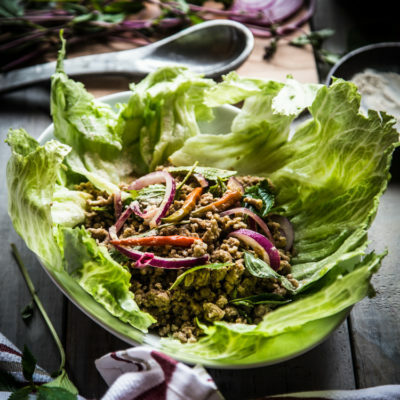 When I saw an Instagram friend made this larb moo, I knew immediately I need to satisfy this craving I had and voila….here it is and I’m not disappointed !!! 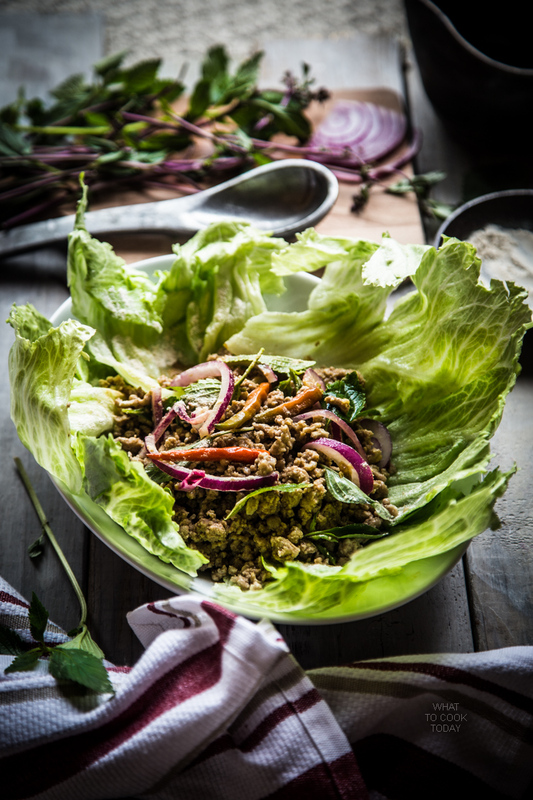 I really enjoy how you spiced up this dish, we are living in a small town for the summer that has no Thai food, I am feeling very deprived, will have to make this. Thanks!!! ohh….I think you gonna love it Cheri.